Do you have a special intention on your heart and mind? Tuning into my keen intuitive abilities and energies you’ll receive divine guidance and inspired messages to support you on your life’s journey to help you manifest your goals and desires. Design the life of your dreams with the Magical Mermaid Energy! Thank you so much for the Mermaid Card reading! The messages I received were positive and inspiring. It was helpful, fun and gained clarity from the reading! 1. To schedule a Mermaid card reading, Please click on the link above to schedule your Mermaid Card reading. Pick a date & time and length of reading desired from the online calendar. 2. Once you’re scheduled, an invoice is sent to you for payment. 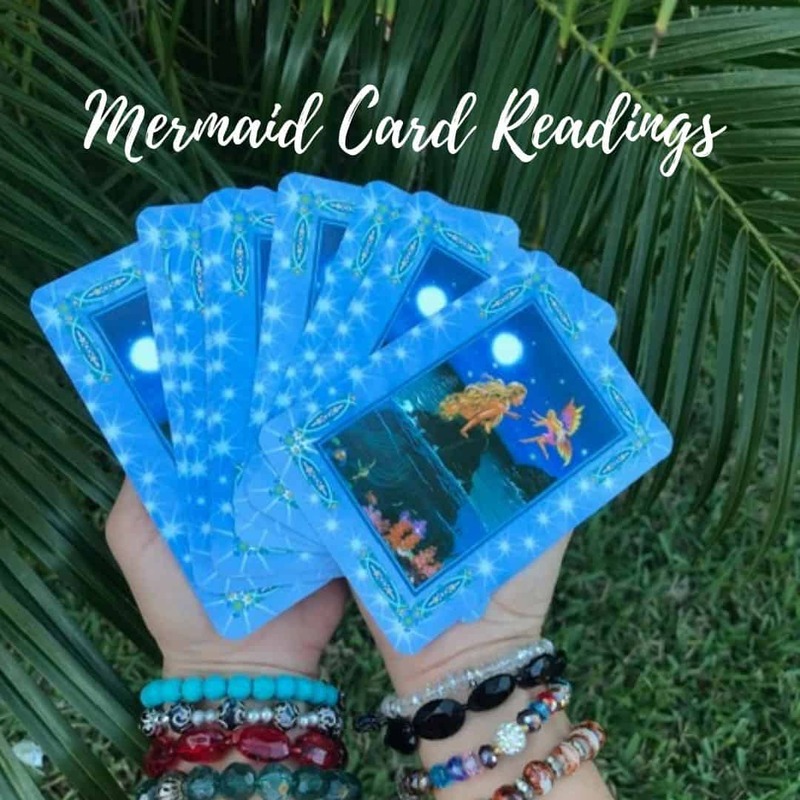 As soon as payment is made , you’re set for your Mermaid card reading! 3. Mermaid Card readings are done via phone. I will call you on the phone number you provide on the set date and time we are scheduled for. Please be on time and available for the scheduled time of reading. Please note- one client per reading to tune in energetically correctly.